Your bedroom is the one room in your house that is completely yours. From living in your parents' house to university dorm rooms, your bedroom can be a safe haven away from the rest of the world. As you get older you'll get more privacy, and when you own a house there are so many ways to make your bedroom somewhere you truly want to be, while the rest of the house remains 'presentable'. Have you ever been on an amazing holiday you desperately haven't wanted to come home from? Maybe it was an amazing honeymoon, or the place you'd live if you could go anywhere. From the skylines of New York to a beach in Hawaii, there are so many ways to ensure you wake up every morning in your favourite place. Maybe you found a warm, cosy cottage one holiday – why not recreate it in your house! Fill the room with warm, red colours, comfortable cushions and a huge plush bed (go on, you deserve it). To add an authentic B&B feel to the proceedings, fill the bookshelves with classic stories and hang a beautiful painting above the bed. If you're lucky, you might be brought breakfast in bed, but if not a ham sandwich under the covers will suffice. 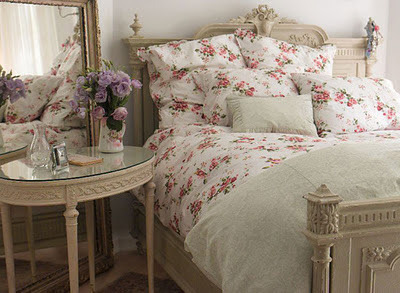 Many people want their bedrooms to be a haven of complete relaxation. Doctors say that your room should be for nothing but sleeping – you'd have to have a big house for that to work! - but there are ways to make your room a den of rest. Cover the walls with fabric drapes and hang heavy curtains. Allow the room to fill with incense smoke and keep a mat on the floor for meditation – soon you'll feel sleepy just on entering the room! We all like to feel like movie stars and rock stars, so why not wake up that way every morning? Keep it classy with a neutral-toned room, a kingsize wooden bed from Bedstar and surround the mirror with light bulbs. Fake fur really adds to the feel of fifties glamour, and there are so many options for decorating the walls with photos of old movie stars. If you're more of a rock star, consider a black metal framed bed and line your walls with shelves of CDs. Why should you have a boring bedroom when just some small changes can have a huge effect on how you start and end every day. Whether your bedroom is set up as fifty shades of fun, a Japanese garden or a camp in the wilderness, there are so many ways to make it completely your own – no one has to know! Where do you get your bedroom inspiration from? im always trying to decorate a bit different my bedroom but the space isn't enough so it stays pretty much the same! I'm currently at uni so I'm constantly moving between my uni bedroom and my home bedroom. I love them both, but neither of them really feel like HOME, with all my possessions.